As part of a four-month sabbatical, our family spent several weeks in Montréal, living in a student residence at-Maison de l’Amitié (House of Friendship) and volunteering at a homeless shelter. 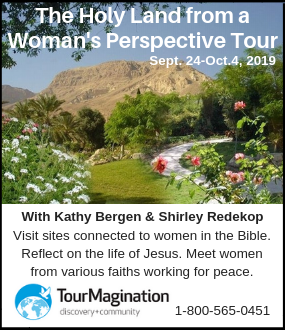 It was an ideal place to reflect on the relevance of the church in an age in which Christendom is passé and people seem to have little energy to maintain traditional forms of religion. Do empty churches indicate a lack of faith, or do they need to adapt to different ways of nurturing faith in people both inside and outside their walls? Symbols of Christianity are everywhere in Montréal. 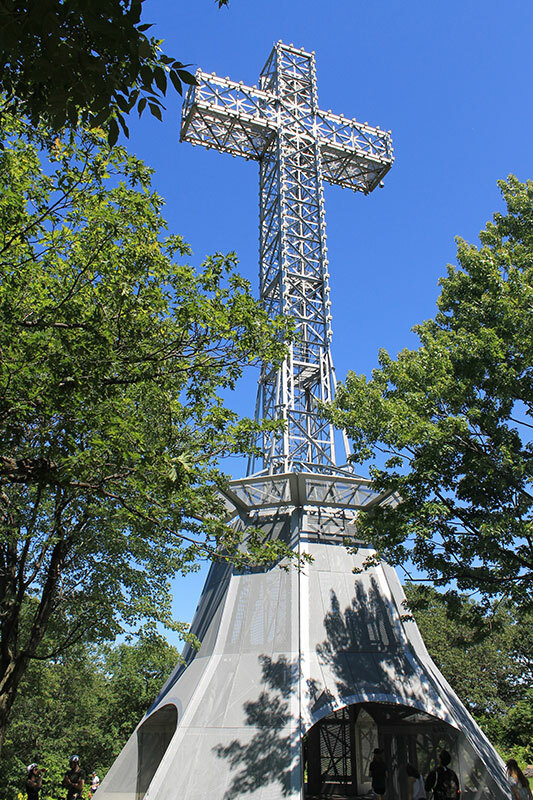 A brilliantly lit cross stands on the top of Mount Royal, an enduring symbol of thanks to God for answered prayer after a flood was averted in 1643. Many people on the streets wear crosses as jewelry. 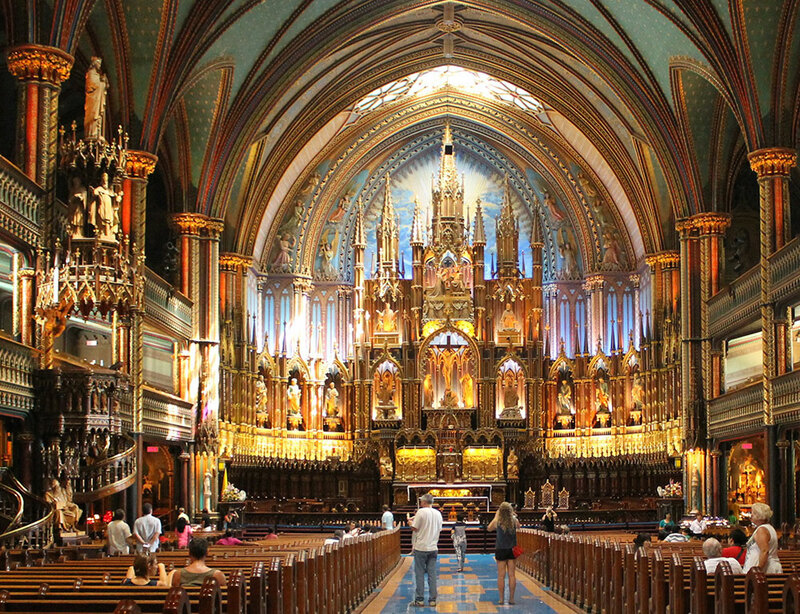 Gorgeous cathedrals like the historic Notre Dame and the newer St. Joseph’s Oratory attract millions of tourists. The church is everywhere, yet people do not belong to it. Around the corner from our residence, a beautiful stone church is now a spa, where worship of God has been replaced by devotion to the body. Other church buildings have become cinemas, storefronts, community halls, libraries and condos. A very few still advertise Sunday services, and we were told these are mainly aging and dwindling congregations. Where the Roman Catholic Church once dominated life at all levels, people now show little overt interest in church life. The Quiet Revolution of the 1960s saw political power move from the Catholic Church to an increasingly secular society. And in the 1970s, laws to protect the French language caused many Anglican Church members to leave Quebec. Since then, scandals and misuse of power by clergy have turned many of the remaining people away. A palpable contempt for organized religion is evident in the fact that French swear words often reference the church. I wonder if perhaps the church in Montréal is further along the same diminishing trajectory Mennonite Church Canada seems to be travelling on. 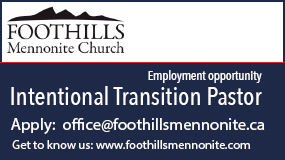 Many of our congregations are shrinking, too, and the feeling that the faithful are aging and young people are leaving is not uncommon. Many drift away from denominational participation, and, like the Montréal populace, find the institution less relevant to their lives than in the past. Today, when MC Alberta asks congregations for statistics, once a month is considered regular attendance! Busy work schedules, affordable recreation, outside interests, sports and new technologies fill people’s lives. While people may find community through work or recreational opportunities, where do they find meaning . . . and God? In a recent discussion with Abe Janzen, director of Mennonite Central Committee (MCC) Alberta, we noted that many people now disillusioned with the traditional church are seeing charity organizations such as MCC and Mennonite Disaster Service as the place where faith finds expression and “church” happens. In such places, people are united by a common goal, they see the positive outcomes of their service and they feel freed from the frustrations of church politics. While commitment to relief and charity work fulfills the need for the practical living out of faith, what might happen if the church that underpins these practical ministries shrivels away? Where will people find connections to God and each other? In Montréal, I found God in two places and a person. 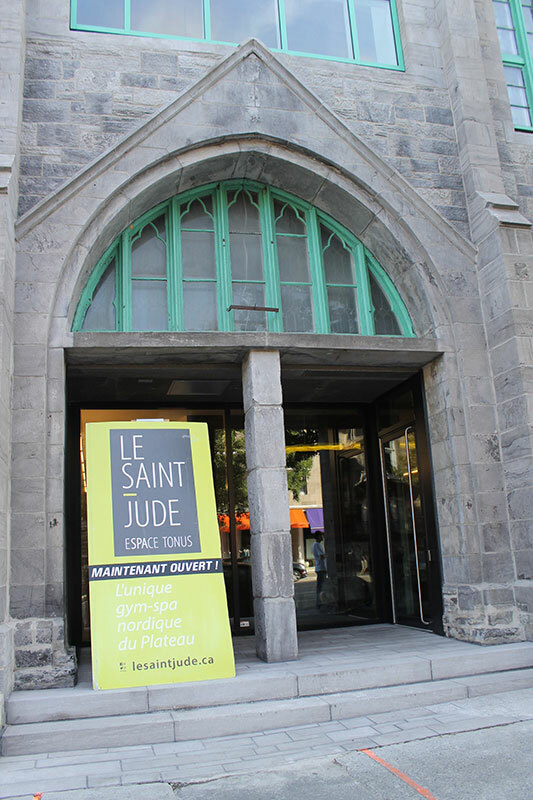 There is a vibrant community in the basement of St. James the Apostle Anglican Church, in a part of Montréal once known as the “Golden Mile.” The St. James Drop-in Centre is there, “offering a safe and supportive environment where those who are marginalized and/or homeless can experience community to its fullest,” its website says. The “drop-in” part of the name is a bit misleading. 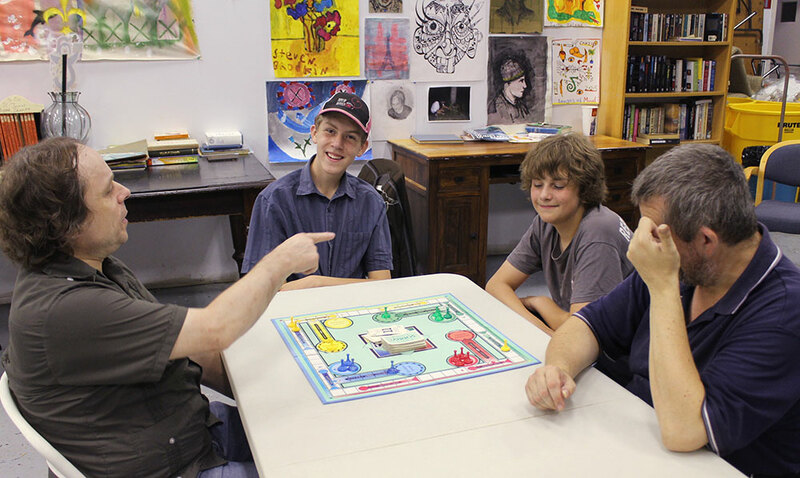 People at St. James don’t just drop in, they become intentional members of the community, agreeing to ongoing relationships and helping each other. The warmth and sense of ownership among the people is palpable. Our family—myself, husband Tim and our boys, Darian, 15, and Jacob, 12—were warmly greeted, and we couldn’t easily tell who was staff, a volunteer or a member of the centre. For three weeks, our job was simply to get to know people. 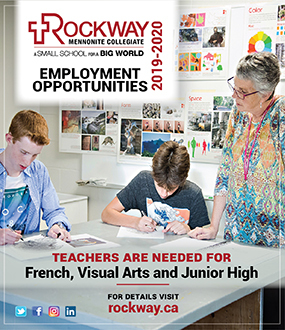 Several of the members made sure Darian and Jacob had things to do, pulling them into the art room, playing board games and speaking in French, which was great, since both boys are in French immersion at school in Edmonton. Helping the disadvantaged at the centre is much more than serving a meal. It is getting to know and value people for who they are. While there is no overt faith proclamation, Christian values are evident. Members are encouraged to treat each other as family. The centre directors, Alain Spitzer and Ron Melanson, noted that even though there is no faith requirement, all the staff are Christians, and the majority of volunteers are also people of faith. One morning, Tim and I spoke with Linda Borden Taylor, the priest at St. James. She told us the church was experiencing emptying pews. In 1930, the church could hold 1,200 and was crowded on Sundays. Now, only 60 to 70 regular worshippers attend. In response to this trend, Borden Taylor began to explore what good stewardship of the building could look like. It now shares space with various social programs, such as a group for women and children affected by family violence and a program for refugees, as well as the drop-in centre and other community mission initiatives. “There’s something happening here. God’s Spirit is moving,” Borden Taylor said, noting that recently some young adults with no church background at all were coming and asking questions, drawn in by what the church is doing for people. Maison de l’Amitié is all about embracing community. 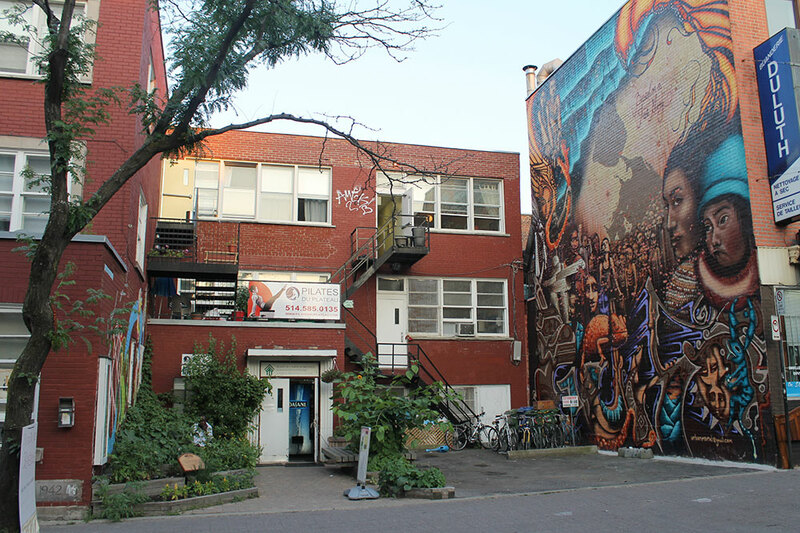 Started in 1974 as a ministry of the Mennonite Churches of Ontario and Quebec (now MC Eastern Canada) and MCC, it holds language classes; houses a program for survivors of organized violence; operates a student residence; and rents space to community, peace and environmental initiatives. 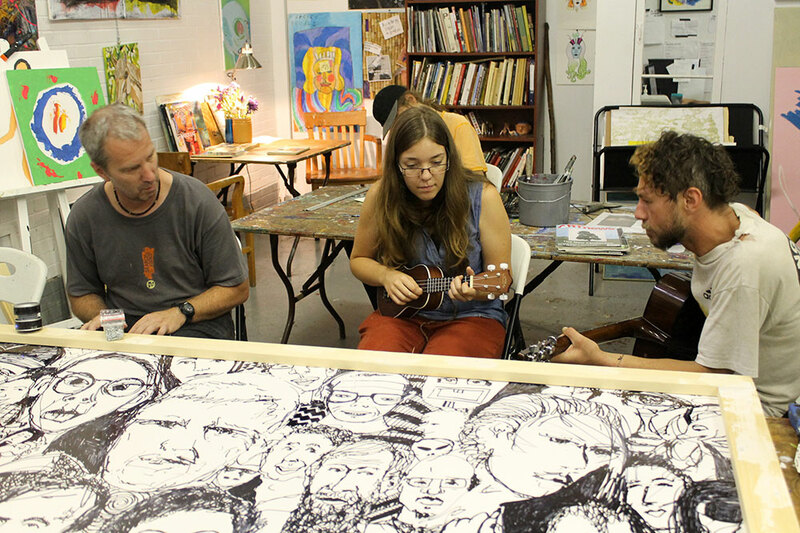 The Mennonite Fellowship of Montréal uses the basement for worship services, and a number of its members volunteer in the programs. Keenly intelligent and engaging, she shared about her love-hate relationship with church. She grew up in small-town Nova Scotia, distrusting church institutions and authority figures. She said she was sexually abused as a child by family members and a Catholic priest. With nowhere to turn, she ran away at age 13 and became involved in prostitution. At 16, in spite of being too young to be legally incarcerated, she found herself in the Kingston (Ont.) Penitentiary. In prison, she said the abuse by authority figures continued and that she was one of a number of people forced into horrible drug experiments. Hearing her painful story, I wondered how she had come to faith when her experiences with the church were so twisted. She said a background in indigenous teachings allowed her to remain open to the Creator. All her life, Mills-Proctor said she felt nudged by the Spirit: “I was having spiritual experiences that I would resist and reject because I connected them to Christianity.” She eventually felt drawn to Jesus. “I was so determined to find out why these people [Christians] are talking about Jesus and doing the complete opposite,” she said. I went to Montréal looking for the church. Although I didn’t find it in the historic stonework or under soaring steeples, it became obvious a non-traditional form of church was alive and perhaps even thriving in the city. To see it, I had to shake off ideas of the old empirical measurements of success, like Sunday attendance and program variety. Practical faith lived every day is really where the church is alive. Instead of thinking of church as centred in a building and moving out to the streets, I saw church in people who then sometimes gathered in buildings to worship and learn. The things that created the traditional expressions of church—a need for community, a desire to serve others, and Jesus’ message of love and redemption—still bring people together. The less institutionally centred church emerging today seems more concerned about connecting people than categorizing them. This way of “doing church” is less creedal and proscriptive, more practical and engaged, and really is not much about bricks and mortar anymore. 1. Do you have churches in your local community that are more-or-less empty on Sundays? Does your congregation regard once a month as regular attendance? If attendance drops, at what point is a congregation unsustainable? 2. Donita Wiebe-Neufeld says that some people see charity organizations as the place where faith finds expression and where “church” can happen. How healthy is this attitude? 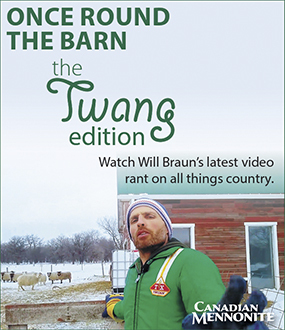 Could charities such as Mennonite Central Committee or Mennonite Disaster Service survive without the church? 3. Although St. James Anglican Church is mostly empty on Sundays, Wiebe-Neufeld quotes the priest as saying, “God’s Spirit is moving.” Do you agree that God’s Spirit is at work at St. James? Can you imagine this scenario at your church? How can we detect the moving of God’s Spirit? 4. What are the fears that keep us attached to our church buildings? Is Wiebe-Neufeld right that the church of the future will be more practical and engaged, and less about beliefs and rules? What does a non-traditional church look like?